Page Street Publishing, 9781624142611, 224pp. 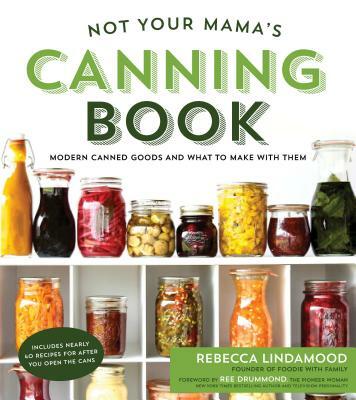 Are you interested in learning how to can food or to try new recipes for canning food? Do you enjoy both savory and sweet canned goods? Rebecca Lindamood has the recipes for you! Rebecca will not only teach you how to can food with basic recipes, but she will provide alternative versions to take your canned food flavors up a notch. She will also provide recipes that highlight these unique flavor combinations so you can make use out of every canned good! From jams, jellies and preserves to pickles and relishes to drunken fruit and pressure canning, this book has something for everyone. Some recipes will require the use of pressure canners, but not all. Make your mama proud but don't tell her you can can better than her! Rebecca Lindamood is the founder of the blog Foodie with Family. She's a former full-time cook and Traverse City Record-Eagle food columnist, who has been featured on The Pioneer Woman and in Better Homes and Gardens. She lives in Belfast, NY.